Our new line of gift card boxes are stunningly beautiful. 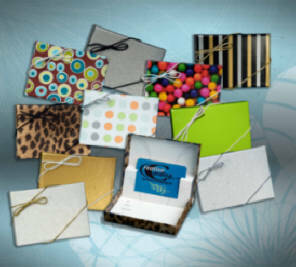 When you give your gift cards do it with our classic designs and a bit of pizzazz. Your customers, friends and family will appreciate that extra attention. 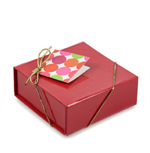 There are two styles to choose from, the patented "pop up" card holder boxes or the traditional flat plastic holder. Both styles are made with heavy weight .035 chipboard with the paper wraps being 70 lb basis weight. 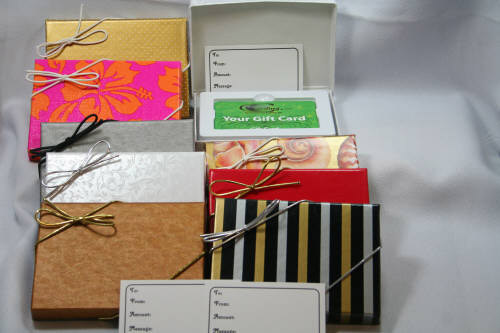 These unique one piece hinged boxes are the perfect compliment to your gift card. Check out our Holiday Designs. Just right for the gift giving season. 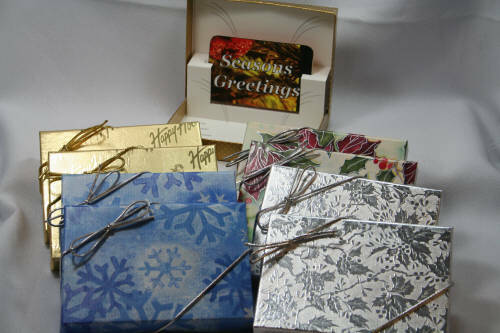 You can also get custom foil stamping for as few as 100 in two holiday designs. 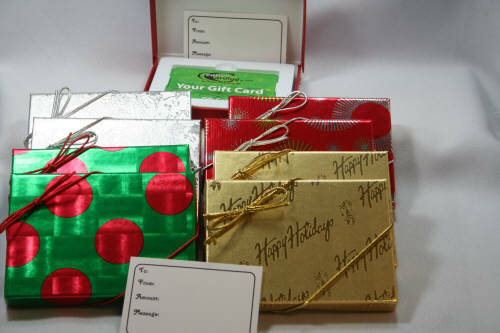 Our hinged pop-up gift card boxes are perfectly designed and patented. No other manufacturer can legally copy this design and manufacture them.